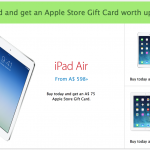 Special pricing is also offered for Apple TV and other accessories. Apple's Black Friday deals are expected to go live in the U.S. and Canada later at midnight Pacific Time. We'll let you know then whether they're going to offer gift cards or discounts. 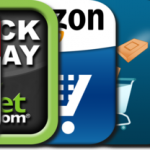 In the meantime, check out our updated Best Black Friday Apps AppGuide to get the most of out of holiday deals from other retailers.